Tuesday is cycle day 10, which means it is time to return books. Please have your students return the books to the back table. We will checkout on Wednesday after our lesson.I greatly appreciate your support! Librarians are keenly aware of the value of teaching students to use databases. But has your “tried-and-true” instructional approach to these resources become “tired-and-boring?” If so, flip your instruction into a Search App Smackdown! This fun, challenging, and competitive gaming approach meets the American Association of School Librarians’ 21st-Century Learning Standards, skillfully integrating technology and standards by putting kids in the driver’s seat. Goodbye, Boring Database Instruction. Hello, Search App Smackdown! Resources that are Out of this World! 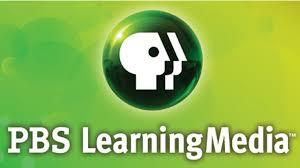 Below are just a few of the many you can find from PBS for free! READY JET GO! is a new animated series designed to help children learn about astronomy and Earth science concepts. READY JET GO! encourages a love of learning and exploration, broadening kids' horizons to the outer limits of space and imagination. We hear over and over again from teachers across the country how they want to infuse more culturally responsive and relevant texts into their district or school-mandated curriculum. It’s challenging to do, but what if we had some resources to share to help you out? Check out this article online to learn about some great resources to help with this challenge. Challenge your students to read every book in a specific section. This librarian chose the E (Picture books) section. Another said she would pair this with the poetry session to coincide with April also being National Poetry Month.